A few weeks ago I learned about the technique of soaking oats overnight. The process is easy and results in chewy though non-sticky oat that seems to be easier on my stomach than traditionally prepared oatmeal. I have Heather from the Soulful Spoon to thank for this method. She has been a wonderful source of nutritional information and for food ideas while my insides have healed. Last year I suffered from a bowel infection that left me unable to consume foods with the exception of green grapes and rice. I was still having some difficulty with oats, yet wanted to be able to eat them as they are so good for me and I enjoy them. Hence my willingness to try soaking them. I have no idea if the soaking removes any good benefits, but it does take away that gooeyness. It is also recommended for raw buckwheat, which I have done before. Soak oats in water overnight. You can leave these on the counter, thought a loose cover is a good idea. In the morning, pour the water and oats into a strainer and rinse well with fresh water. At this point your oats are ready to eat. They are a bit chewy still. If you want you can cook them, but it is not required. Mix in the pumpkin, blueberries and maple syrup. Sprinkle with cinnamon. i also like to add a tablespoon of raw pumpkin seeds. Here's another breakfast oat recipe from The Soulful Spoon. Do you soak your oats or any other grain. 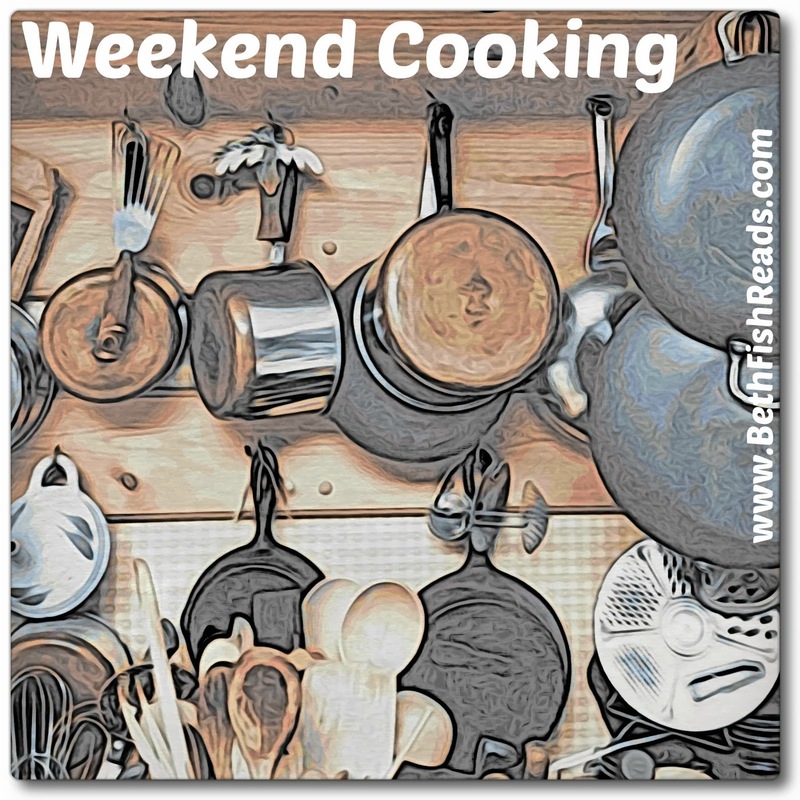 For more food related posts, be sure to visit with Beth Fish Reads for her Weekend Cooking Post. She invites all readers to add a link to their recent food related post. I love oatmeal, but don't have it that often, especially in the summer. I never would have thought of just soaking them instead of cooking them, but I guess rolled oats really are cooked already when we get them? Hmm I am not so sure about the pumpkin, I'm glad you enjoyed the oats though! It makes sense that soaking oats would make them easier to digest. Thank you for this great tip! Great recipe, Heather. I've soaked oatmeal a lot, but I generally do it in milk/yogurt with lots of fruit. There's no straining involved, just a good stir in the morning. The dairy won't be good for you, but you probably have substitutes you can use. Google "Swiss Bircher" or "Bircher Muesli" or "Swiss Oatmeal". I've made it with steel cut oats (my favorite), scotch oats, and regular long cooking oatmeal. Haven't tried it with the quick cooking varieties. I'm definitely going to give this one a try! Thanks! I love overnight oats - I soak mine in milk in the fridge and then add fresh fruits in the morning. I've never tried oatmeal with pumpkin before! That sounds yummy. I didn't know oats could be eaten after soaking overnight. That solves many issues in the morning when I want oatmeal but no timer to cook it. So glad you posted this.